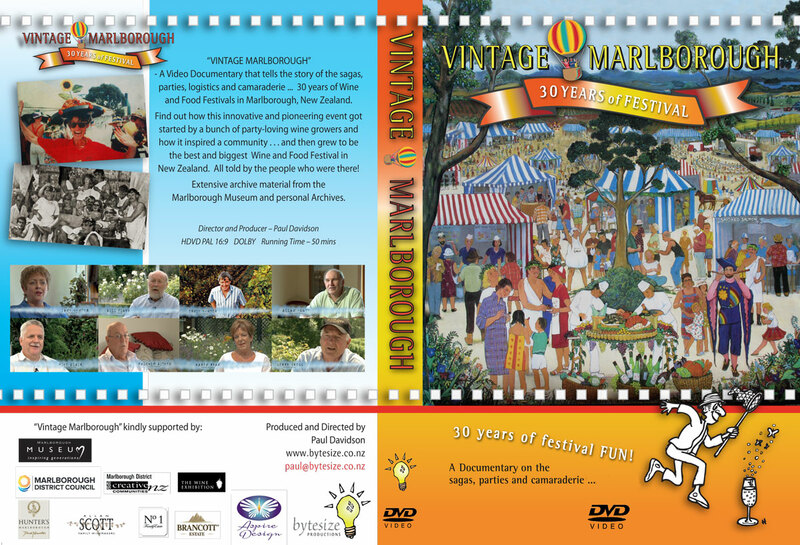 Video “VINTAGE MARLBOROUGH – 30 Years of Festival Fun” 2015 – 50 mins : Logo, research, creative direction:photography, video production, marketing and premiere advertising. Trailer: 3 mins produced for Wine Marlborough as a festival promo 2014. “VINTAGE MARLBOROUGH” was commissioned by Marlborough Museum, to sit beside the Wine Exhibition. The film received funding through the NZ Creative Communities fund, Marlborough City Council, Hunters Wines and Allan Scott Family Winery. Trailer: 3 mins produced for Wine Marlborough as a festival taster. Extensive archive material from the Marlborough Museum and personal Archives. The film utilizes early 1990’s footage, press clippings, personal anecdotes of the pioneers, local event-goers and community reminiscences; the quirky and memorable. This is a story of how a small Festival grew an entire region. The interviews of early festival pioneers celebrate these people’s vision and hard work and form a valuable archive of the event and the early Marlborough industry. 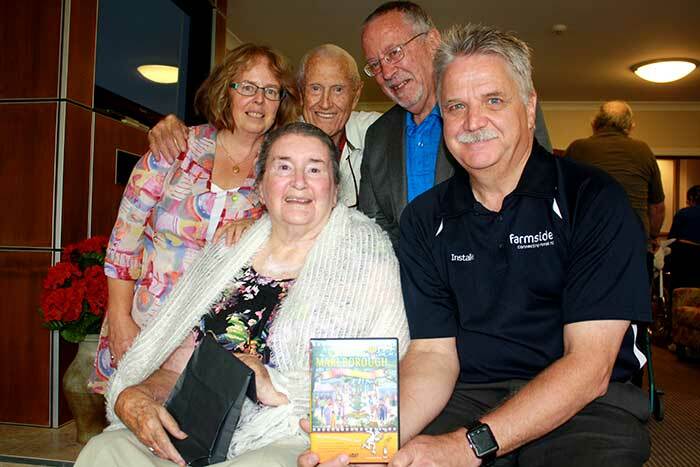 Triska Blumenfeld, celebrated Marlborough Living Cultural Treasure, artist for the Festival posters in early days, and re-celebrated on our DVD cover, poses with Mike Blair – festival manager, and the documentary makers, at the PREMIERE of “Vintage Marlborough”.